Vehicle wheel alignment services should be performed after the occurrence of any service or mishap that may have affected your vehicle’s alignment. Have you had any new tire or suspension services performed on your INFINITI? Maybe you’ve had a recent curb encounter that threw off your car’s wheel balance? 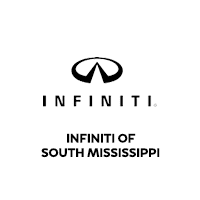 No matter the circumstance, INFINITI of South Mississippi is here to provide drivers near D’Iberville, Mississippi with expert vehicle servicing. Be sure to pay close attention to your INFINITI. Any untreated alignment issues in one area can worsen and negatively affect other alignment angles. Luckily, our maintenance technicians are knowledgeable about all wheel alignment services and can provide whichever adjustment is needed to guarantee you excellent INFINITI performance. Whether your vehicle requires Caster, Thrust, Camber, or Toe angle adjustment, we are equipped and ready to handle the service for you. You can schedule your service appointment by contacting us to speak with a service professional, or by easily scheduling an appointment online. Technicians are available at our dealership to perform your vehicle’s servicing Monday through Saturday. Ensure the safety and proper functionality of your vehicle by scheduling a wheel alignment service at INFINITI of South Mississippi today!